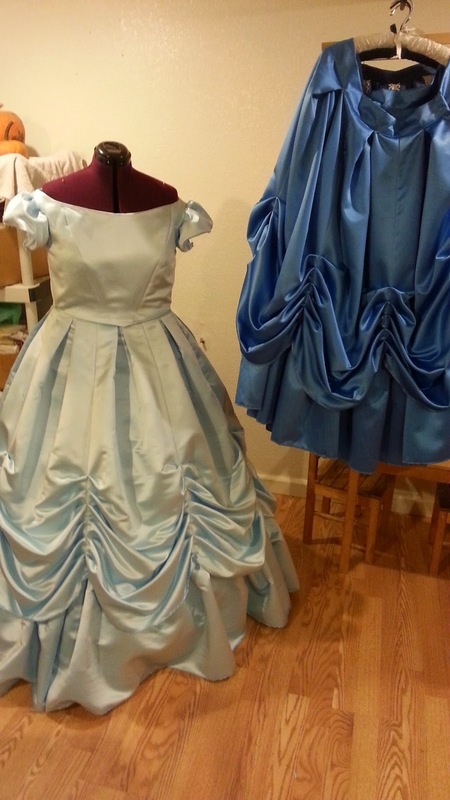 Yup, making two new dresses. Unfortunately, they are not for me :-( BUT, that means I'm getting paid to make them :-) I'm having a blast making these dresses which will be bridesmaid's dresses in a wedding this summer. So much fun! Whoa! Has it really been two years since I posted? Well, I HAVE been busy, just not with too many costuming things. I never did make that Gala dress. You see, 6 days after my last post, we were contacted by a birthmom who wanted us to adopt her baby. The baby was going to be born at the beginning of May, so I gleefully canceled my plans to go to Costume College. Unfortunately, the birthmom changed her mind and decided to keep the baby (heartbreak for us!). But it was too late for me to go to Costume College. However, that summer was a very busy one filled with lots of trips and adventures, and another birthmom who chose us! This one did not change her mind and our daughter was born in October. So, I've been busy with a baby and then toddler. But we have done a few costume events, so I'll be posting updates soon. 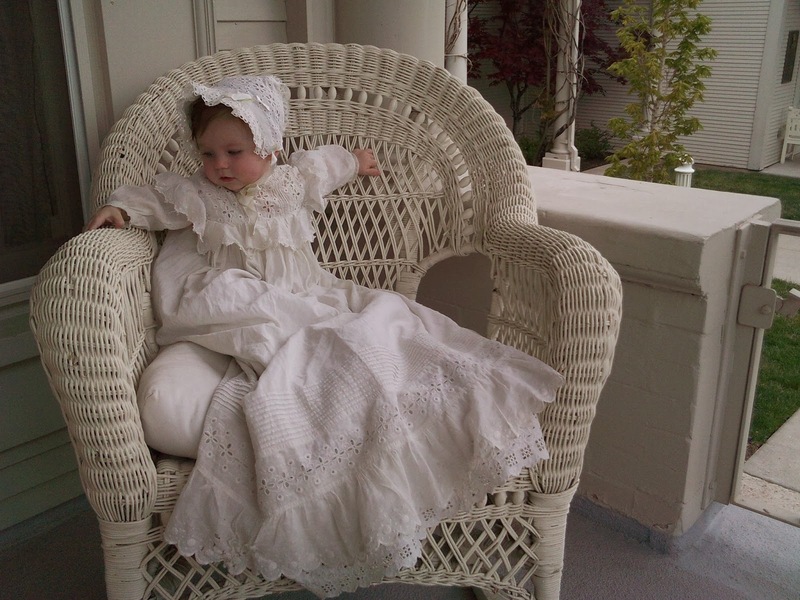 Till then, here's a picture of our new daughter when she was 6 months old, dressed in an early 1900's gown that was my great-grandmother's baby dress. I need your help! I am trying to decide what type of dress I should make for this year's Costume College Gala. I made a whole post about it and you can read about it HERE. Please read it and vote. I need your help! Oh, and by the way...Happy New Year!